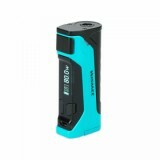 Wismec CB-80 Mod, which features 0.9-inch screen, will display status of vape clearly, such as battery life. 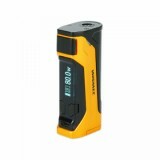 Powered by single 18650 battery, it can fire up to 80W. Wismec CB-80 Mod, which features 0.9-inch screen, will display status of vape clearly, such as battery life. 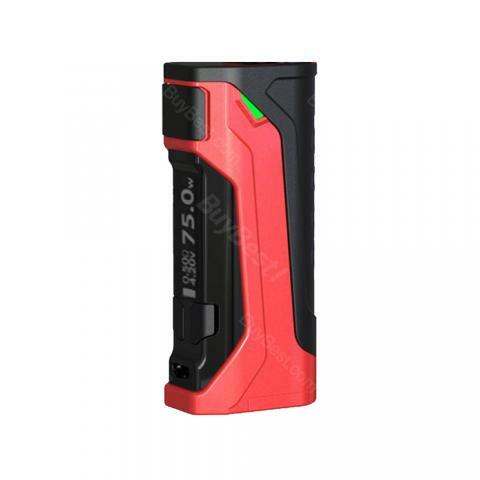 Powered by single 18650 battery, it can fire up to 80W. With 2A quick charging, you don't deed to charge frequently or wait for a long time. You'll enjoy excellent vaping experience. • Three-month warranty for 80W Wismec CB-80 Mod. Shipping is fast. The package arrives in Croatia about two weeks. The cb-80 mod is compact and comfortable to hold in the hand. I love the big font of the data displayed on the screen, making reading info easily. All functions are on the point. Would recommend. It has good power, bright screen and portable size. And battery replacement is easy. Only the fire button feels a little bit not clicky. Compact and lightweight. Battery door is easy to open and you get no battery rattle. So far so good! 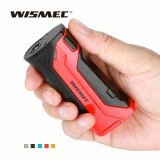 Wismec items deserve to wait! I think Wismec CB-80 mod will be my best mod, great!